What does the brain look like? What do we really know about our brains? For centuries, we’ve been telling ourselves time and again that we now have an objective view of our brains. However, objectivity depends on technological developments, human actions and social and cultural factors, to name but a few. This has been revealed by research by Sarah de Rijcke, (yes, this blog’s Sarah) who will be awarded a PhD by the University of Groningen on 18 February 2010. More on the thesis, Regarding the Brain. 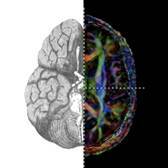 Practices of Objectivity in Cerebral Imaging. 17th Century-Present. And more from the horse’s mouth can be found here, where Sarah was ‘PhD of the week’ on BNR nieuwsradio and defended her thesis in just a minute.